There are plenty of esports tournaments on this weekend, but one Overwatch pro is taking his viewers on a trip through a tournament from his perspective—a rare insight into the thoughts and play of competitive Overwatch players. The qualifiers for Overwatch Contenders are taking place this weekend, and popular player and streamer Brandon “A_Seagull” Larned is streaming his team “Kelvin and the Chipmunks’” matches on his Twitch channel, comms and all. It’s rare to get insight like this, both due to concerns of opponents stream-sniping (Larned is streaming on a delay, per tournament rules), or for fear of broadcasting team strategies. When it happens though, it can be a great learning experience for aspiring amateurs and casual players to see what pros see. Doesn’t hurt that Larned and his team are pretty entertaining to watch play, too. 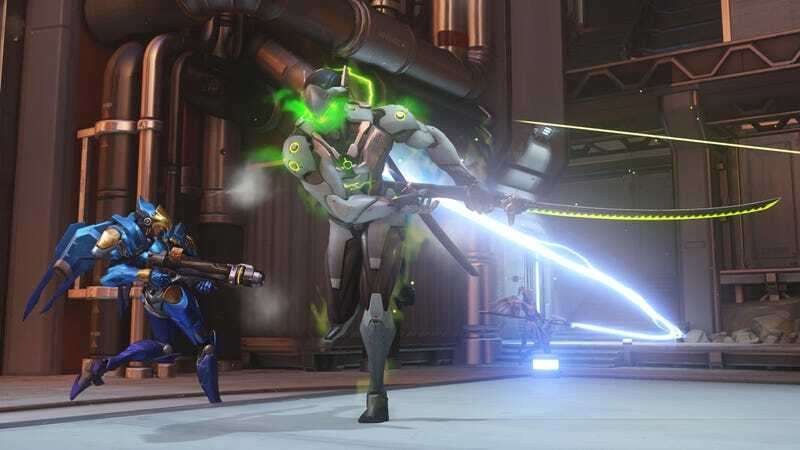 The chatter can get a little blue at times, but the insight is fantastic—though Blizzard is putting on a strong production for some Contenders matches, seeing games through the eyes of Larned, a talented Genji and Pharah player, is a completely different experience. In some cases, it leads to moments where Larned is literally slicing through the enemy team, annihilating them on the doorstep of their respawn. Other times, it’s his teammates, congratulating each other on a job well done, or a nice play of the game. But for the competitive-minded audience, the most interesting part of Larned’s stream is hearing the team communicating during the matches. Though it’s a team put together specifically for the Overwatch Contenders tournament, each member is very talented, and the discussion of composition and strategy is fascinating for anyone who’s played enough Overwatch. As action heats up, the chatter becomes more frenzied, as players loudly direct teammates’ fire towards certain targets or warn others that an ultimate is up. Then, the match ends and it cools down, and the team discusses what went right or wrong, and convenes for a new approach in the next game. You can follow the rest of Kelvin and the Chipmunks’ games today on Larned’s Twitch channel.